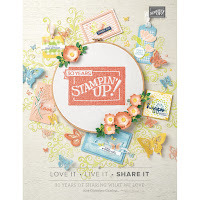 Welcome to the Scraps to Treasures Monthly Blog Hop. 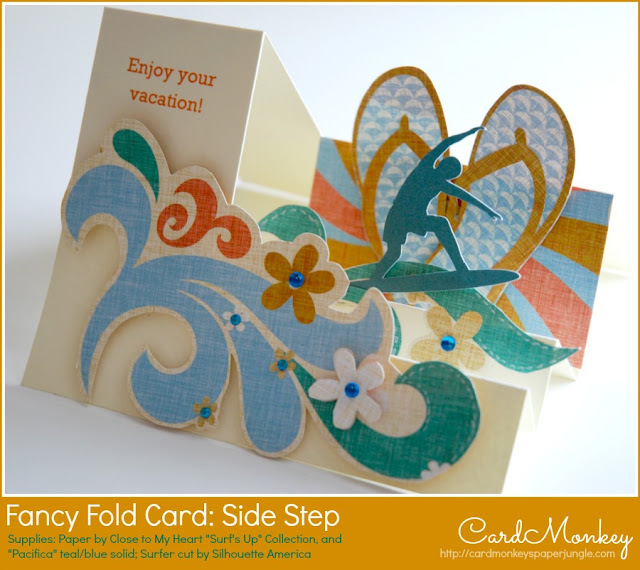 This month, we're featuring fancy folds -- those unique ways to fold your paper and create a card for extra "WOW!" As usual, we're to use our scraps in making these projects. I decided to do a "side-step" card. This card folds flat to 4.25" high x 5.5" wide, with two extra "valleys" to decorate. There is no inside to this card, so the sentiment is printed on the outside of the card. You can use this style to highlight any layered message you'd like. I used scraps of Close To My Heart's "Surf's Up" paper, focused on the pretty swirl/wave that was leftover after I cut a layout. I found other waves in scraps that I liked for the second focal point, and used the center of a sunshine-looking piece for the third focal point. The flip flops and surfer were cut using 3 scraps no bigger than 3x4", and the card base was also a leftover piece of CTMH Colonial White paper that was 5.5" x 8.5". I hope you enjoyed seeing this card. If you'd like to be inspired by additional ideas, be sure to start at our hostess's site (Robin at http://create-a-latte.blogspot.com) and hop through our inspiring group. Oh, wait! Before you GO!! Don't forget to leave a comment here if you'd like to win the blog candy sponsored by our hostess, Robin! Robin has a huge bundle of goodies to give away to one lucky person! 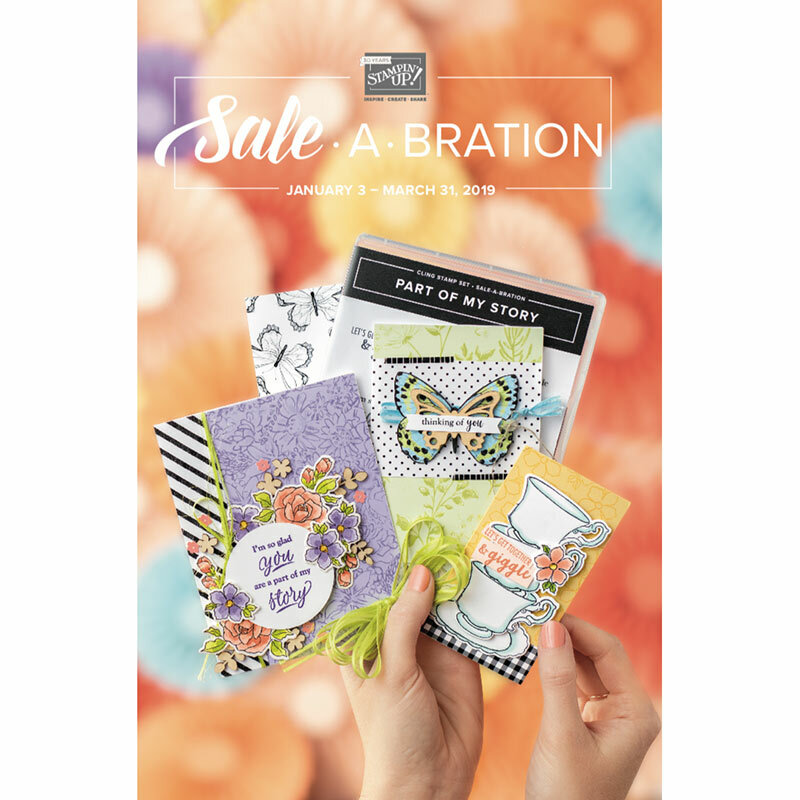 The bundle (pictured here) is packed FULL of all kinds of goodies for you to make lots and lots of cards. In order for your chance to win you must be sure to visit each of the blogs in our hop today and show some love by leaving each of them a comment letting them know what you thought of their fancy fold card that they made to share with you. OK time to move on... be sure to hop on over NEXT to Camille who is never "Short on Ideas" to intrigue and inspire!! Labels: Blog Hops, Close To My Heart, Scraps to Treasures, Surf's Up. I love that Card Ellen! Now I am into fancy folds! How am I gonna top that? Seeing this card really inspires me. Love the collage look on a step card! fantastic card, how you "see" things always amazes me. Ellen, you are just amazing. This is a beautiful card. It's like a showpiece! I love it! Oh my goodness! This is just too cute! I love this adorable, fun card! Very nice Ellen, I love the design and papers. Wonderful card, Ellen. I love it. Thanks for sharing. Wow surf's up catch the wave! Love your card & creative use of your scraps. Very cute & creative Ellen! awesome card.. loveing it. your new follower as well. Wow Ellen love this card you inspire me so many times. Thanks. I love your card, the waves and the surfer are awesome!! Thanks so much for sharing. amazing job and love the beach theme! Your card is fabulous as always. Great accents! TFS and scrappy wishes! What a fun card. Love the theme! Wow! Awesome card. I love it. I have followed you via GFC. Oh my funness! I love the images you've put on this card! This is fantastic! The card design worked very well with your surfing theme. I like to make the side-step cards. They look so impressive when you send them. I am amazed by the talent on this hop. Gorgeous card. I love this fold for a card! Wow, you elevated the side-step card to new heights here. Great job.